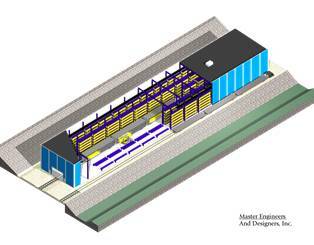 This project consisted of the design of a new 36,000 square foot storage facility for storage of heavy components. The building is a single-story steel framed structure with rail car access into the facility and rail car parking along the side. Design included structural, mechanical, electrical, and plumbing. 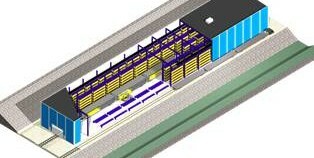 Storage racks were also part of the design. The floor slab was designed for wheel loads from a sideloader truck used to unload/load railcars, transport, and load/unload racks heavy components.